In this tutorial I’ll show how to convert manuscripts written in markdown into a variety of industry-standard formats, automatically, using Pandoc. I write short-stories and essays in markdown, but many magazines and literary journals only accept manuscripts as Word documents or PDFs, which forces me to convert my source text into a myriad of (often obsolete) formats every time I want to submit to one of these journals. To do this, I would upload my markdown to whatever document converter app was the top Google result of the day and then fuss over the formatting of the resulting document to get it to comply to the standard manuscript guidelines. But I’d inevitably make little changes while formatting the manuscript, and then bigger revisions, and pretty soon I was at the 36th draft, with my editing history split between markdown and Word — making diffing and version control impossible. By automating this process, my manuscripts can stay in Markdown, and I can have a manuscript ready to submit to any journal in seconds. But making use of the automated workflows poor gullible nerds like me have come up with is a legitimate laboursaving device; and since I’ve already wasted more time automating it that I would have ever spent converting manuscripts — even if I churned out pieces as fast as Issac Asimov — the only way I can make up for my lost time is by saving yours. Pandoc is an open-source document conversion supertool — the gas-powered 94-tool Swiss army knife of the document conversion world. It can do just about anything, but good luck getting it to do anything other than the simplest conversions when you’re getting started. Actually, it’s a Haskell library for converting from one markup format to another, and a command-line tool that uses this library. In this article, when I say Pandoc I’m referring to the command-line tool. It’s easy to set up Pandoc and start converting stuff using its default settings. But using Pandoc like this isn’t much of an improvement over the above-mentioned online conversion apps, when it comes to converting and formatting manuscripts. So I set out to get Pandoc to convert my markdown into Open Document files, and put it into standard manuscript format at the same time. It took a while to figure out, because I couldn’t find anyone else who had done it; Pandoc is popular with academics and web journalists, but so far few straight-up “writers” haven’t adopted it. You’re reading this article, so you’re probably already familiar with the standard manuscript format for non-fiction and short-stories. If you’re not, head over to William Shunn’s excellent page on the topic. I use Linux, so this article is Linux-first; however, this is the only step that will be much different if you’re using a different OS. If you’re using Mac or Windows, take a look at the official Pandoc installation instructions for your system. Let’s make sure everything’s hunky dory with a simple conversion test. Write some markdown and save it in your home folder as "pandoc-test.md". Open up a terminal and make sure Pandoc installed properly with pandoc --version. This document shows Pandoc how to style the output. I made it by taking a document that Pandoc had generated (this recommended over creating one from scratch, to make sure it’s compatible) and adjusted the global styles for the body text, headings, and document header. When Pandoc uses it as a reference for conversion, it throws the content out but inherits the reference document’s global styles. Place reference.odt where Pandoc goes looking for reference documents: in a folder called .pandoc in your home directory. If this hidden folder doesn’t exist, create it. The full path should be ~/.pandoc/reference.odt. Set all margins to 1 inch. Make the body text double-spaced. Set the document font to monospace. Set the font size to 12 point. Remove space between paragraphs, and indent the first line of each paragraph by half an inch. Add a header on the first page for contact information and word count. Center all section headers, and set them in 12 point type. Replace placeholder name, address, email, and phone number on the first page with your contact information. On page two, replace "Lastname" (in the header) with your name. You’ll only need to do this once. Open manuscript.odt and savour the formatting! Go to "File" > "Properties…", and edit the document title; it will be automatically inserted into the header. Alternately, you can skip such trickery, and insert the title of the piece manually into the header of the second page. Make sure not to forget, though: you wouldn’t want to send it out titled “Title”! Read through the manuscript to make sure that everything looks right, and that the auto-generated word count in the top right corner of the first page is correct. If you like, type "END" after the last paragraph, centred in the middle of the page. Download this handy reference.docx, customize it with your contact information, put it in your .pandoc directory. Make the any necessary adjustments, and send it off! Pandoc can generate nice PDFs, but it’s easier to export a PDF from the Office document than to set up a Pandoc template for auto-generating PDFs; even automation has its limits. You don’t have to start with markdown. You can pass other formats to Pandoc and get the same manuscript output. You can even throw a Word document set in Comic Sans at Pandoc, and have it convert it into a Shunn-compliant manuscript. More realistically, you can convert back and forth between Microsoft Word and Open Document formats, depending on which Office suite is your tool of choice — or even convert HTML to manuscript format, if you’re submitting something that you previously published on the web. Pandoc can automatically convert "dumb" quotes into “smart” quotes, as well as turning fake em-dashes -- the kind made with two hyphens -- into real em-dashes (—), and turning three periods (...) into a genuine honest-to-goodness ellipse … and all you need to do to enable this feature is add the --smart flag to your Pandoc command. 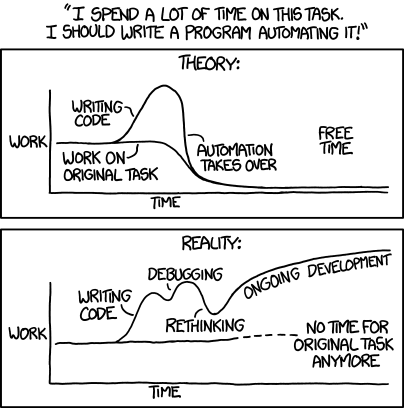 Automate all the things. Want to convert a manuscript to multiple formats in one go? 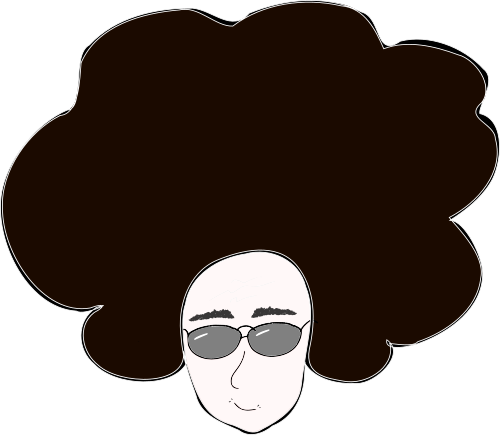 I made a little bash script to automate the task for you: format_manuscripts.sh. Run it from within the directory that contains your markdown source (bash format_manuscripts.sh -f="Your Filename") and it will create a directory for formatted manuscripts and generate .ODT and .DOCX manuscripts. Plus, it opens the manuscripts for editing so you can make sure they’re ready to go. You can even make eBooks. The best thing about this workflow is that it leaves your original manuscript untouched. You can convert to as many formats as you want without loosing backward compatibility. What to double-dip and turn all those old blog posts and essays into an eBook? Just run them through Pandoc again. Now that you’ve got the basics, take a look at the Pandoc documentation for the full menu. If you have any questions or suggestions, leave a comment below or hit me up on Twitter. Thanks for reading! Read Next: Who will own Mars?